Facebook (NASDAQ: FB) says that its new job posting feature has been wildly popular in the U.S. and Canada, where it rolled out last year. The company has now rolled out the feature to 40 more countries. The international expansion is rolling out on desktop and on mobile and the feature is now available on iOS, Android, and the web. 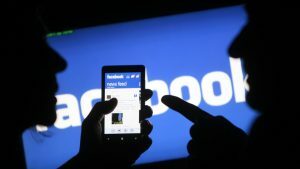 Job postings could be a lucrative business for Facebook. Competitor LinkedIn earned Microsoft $1.1 billion in revenue in Q4 2017. However, Facebook has 2 billion users, while LinkedIn has a user base of 500 million. Facebook’s new feature will also be competing with Glassdoor and Monster.com. Businesses and people on the social network can use the feature for free. Businesses will be able to post job openings to multiple places on the platform, including on a Jobs tab on their Page, on the Jobs dashboard, and in the Facebook Marketplace. They will also be able to promote the job with ads in the News Feed. Users can use the Jobs dashboard found in the Facebook web sidebar or mobile app’s More section to discover jobs in their local areas or areas they are considering relocating to. Filters like proximity, industry, and whether the job is a full-time or part-time gig are available to narrow down the options. Job seekers can also set up job alerts for the types of positions that interest them. Job seekers will be able to auto-fill applications with their Facebook profile information. This will allow users to quickly apply to lots of different positions. Users will also be able to communicate via Messenger to schedule interviews. Some users may not want all of their Facebook profile information available to potential employers. To ease these fears, Facebook says that potential employers will only be able to see what’s public on an applicant’s profile.